Very fresh eggs can be difficult to peel. 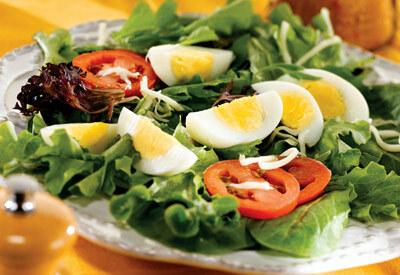 To ensure easily peeled eggs, buy and refrigerate them a week to 10 days in advance of cooking. This brief "breather" allows the eggs time to take in air, which helps separate the membranes from the shell. Hard-boiled eggs are easiest to peel right after cooling. Cooling causes the egg to contract slightly in the shell.